Collectively, the group has made $47.5 million effectively tripling their regular compensation primarily through overtime. Of the 6,000 nurses working in the state’s prisons and mental health system, 83 percent received overtime last year. Jean Keller, a nurse at the California Men’s Colony in San Luis Obispo, was the highest-paid nurse in California making $269,810 while the national average for annual pay for a registered nurse is $67,720, according to the U.S. Bureau of Labor statistics. Union officials told Bloomberg they have urged the state corrections and mental health officials to improve scheduling and hiring practices to cut back on the need for overtime. Tip of the iceberg folks. 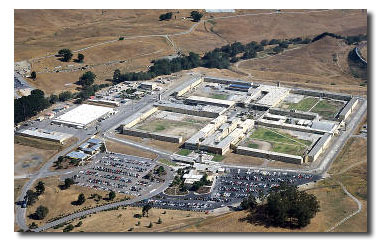 There are over 65,000 employees of the corrections department. Over 45% of them make over 100K a year (and they can all retire after 30 with 90% of their salary at taxpayer expense) There are 140 dentists….the lowest paid one makes 160K a year. The 5 highest paid dentist make over 500K a year….and they can all retire after 30 at 90% of their salary. Privatize the corrections system….Its the only answer…..Let the criminals sue…they will be suing a private company and they can wait decades for the court ruling….Just like we have to wait decades to put down those on death row. We waste millions and millions of dollars that could be spent on schools or infrastructure just to keep scum alive and feed a welfare system we call Corrections. There is no excuse for this. Overtime? Hire some more damn nurses. What kind of emergency requires nurses to work over and double time taking care of prisoners? Whomever is in charge of this needs to go. Thank the Federal Reciever for all of this! Absolutely ludicrous and don’t think that the Inmates don’t take full advantage too. Sorry let me explain…… think of this like an elementary school only with a few docs and a plethora of nurses……… if the inmate has a cut or bruise or other boo-boo then yes they are there earning their 5-6 figure salary….. (making $200K) and a doc (making $500K) BUT~ if its a true emergency, you know the kind that actually require a nurse or doctor……….guess what…….they call 911, and an ambulance responds. Isnt that so exciting to know!?!?! Combined $700K~ actual emergency happens they call 911…….. Yeah for California!!!!! Think its BS???? Yeah get county 911 dispatches…….. Excuse me while I go puke. Here’s the part that kills me. We have all these nurses and Dr.s working in the prison system. So you would think the expence ends there? NO!!! When any of these patients need treatement for health reasons etc., they send them to all kinds of local Dr.s (with guards in tow I might add) at your’s and my expence. The California penal institution is breaking our back. Wanna good job. Work in prison. Want good medical, food etc. go to prison. It’s a win win situation for all except the taxpayer. BBWWAAAAAAHAHAHAHAHA!!!!! All they do is call 911 anyway……….. This is really funny. Holy crap. A doctor I know closed up his practice and went to work for the prison because the money was so much better. Go figure. Tip of the iceberg is right. There has been absolutely no accountability to the public in how these funds are spent, especially in the past 20 years this boondoggle of a prison industry swelled from 20,000 to 150,000 inmates in a short period of time. Check into how many correctional officers make more than 6 figure salaries, most with no education past high school. You should look into Prison teachers’ pay and benefits, actual work load, including state paid conferences and workshops in large cities including Palm Desert…spouses included…Many Prison teachers make in excess of $100,000 dollars a year with actual teaching time of about 4 (maybe 5) hours per day.